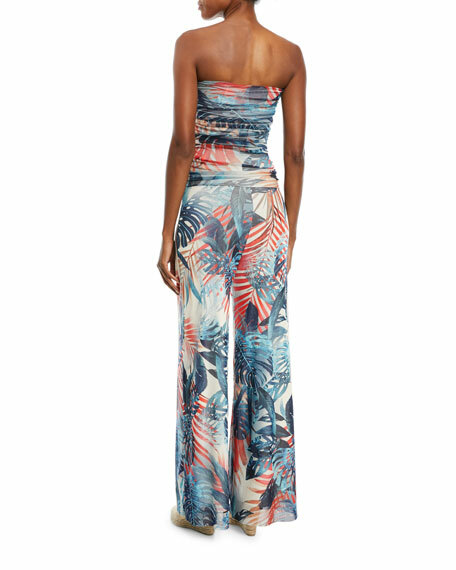 Fuzzi jungle printed bandeau jumpsuit. Specializing in knitwear, Fuzzi was established in 1954 in Italy. The founder's daughter, Anna Maria Fuzzi, joined the company in 1971 as the President and creative force behind the collection. Anna integrated tulle mesh into Fuzzi's modern line, allowing for flexible movement in hand-washable, wrinkle-resistant fabric. By 1983, Anna's well-cultivated work in knitwear garnered Fuzzi a unique and on-going partnership with the cutting edge design house of Jean Paul Gaultier. 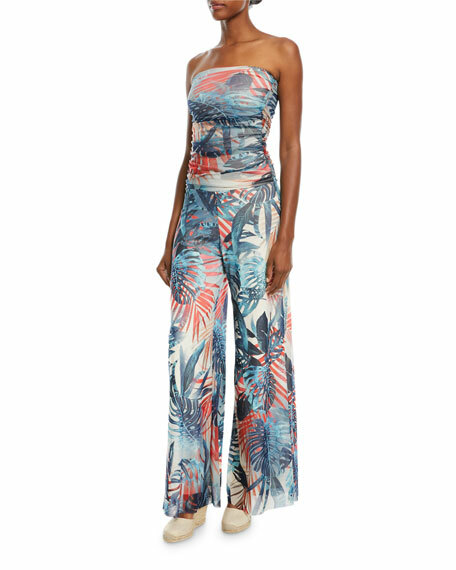 For in-store inquiries, use sku #2456274.